There are a few times that simply call for haute couture hats. For instance, when you're sipping on sparkly, minty beverages at a race track. And no, you don't just have to be watching horses race. You could also be watching turtles or bulldogs race. Although watching turtles race requires different headgear. More shell if you're wondering. And then there are the royal weddings of the world. How many more princes are there left to marry in the world? We don't know but we're hoping our closet full of fascinators will come in handy again in the near future. You hear that Queen Lizzy? We're totally prepared for future invites! You won't have to worry about your lovely hat flying off in the breeze right in front of the royal family, it's fitted to a headband so you can do your hair around it. 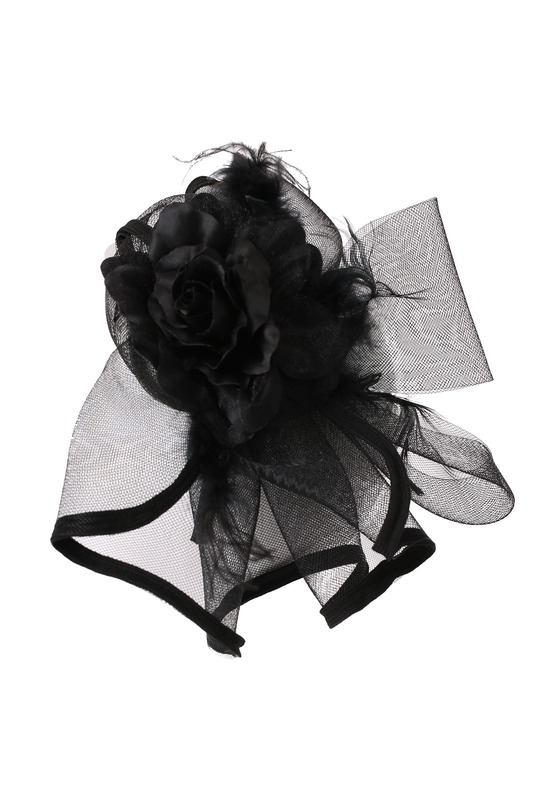 The center has a black fabric flower, feathers, and is surrounded with stiff netting that's trimmed with opaque black fabric. If you want to be ready for anything, you have to have a fascinator in your closet. They work for derby parties, fifties movie star ensembles, flapper themed events, and let's not forget the next royal wedding! Unless that is, one of the last single princes meets you at a flapper-themed event. Then you'll have to get a white fascinator. This fascinator was gorgeous! A large problem was that it had a loop underneath the ornamental top that slipped through a simple headband. The loop was too loose. 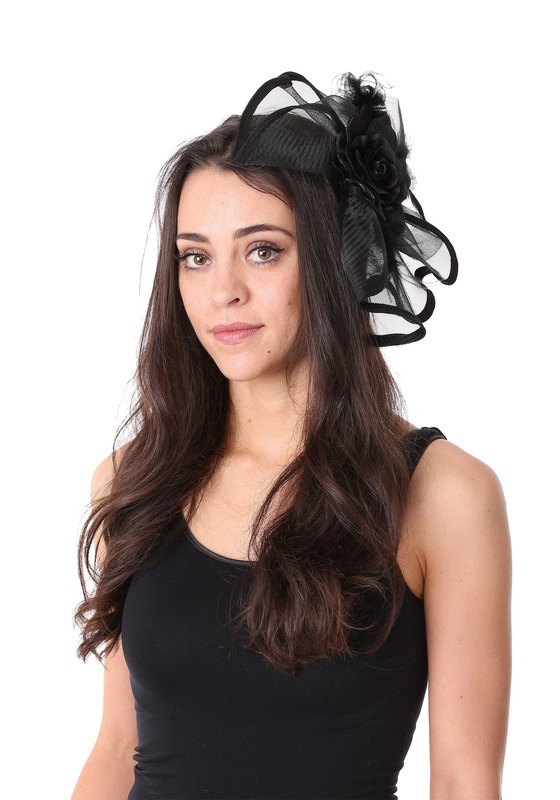 The fascinator would easily slip off my head. I had to bobby pin the fascinator to my head, unfortunately while doing that a piece of the fascinator also broke off. All that being said I will still tell you that it is gorgeous.